Whilst the UK weather hasn't exactly been too kind and temperatures are certainly on the chillier side it is half term and I'm sure there are some of you heading off for some Winter sun. 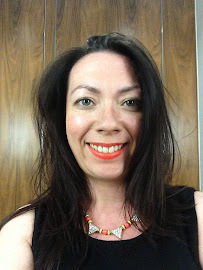 Today I'm giving you the line up of sun protection I used on my trips to Dubai and Ibiza and I can even claims they're almost 'Halloween themed' due to their pumpkin colours. I'm quite sure I'm the first person to head out to the Ushuaia Beach Hotel's pool area armed with a bunch of products and their camera, I certainly gathered some strange looks rearranging the bottles around the pool. Riemann P20 Once A Day Sun Protection Spray* is the well know once a day sun protection spray which I mentioned briefly in one of my Ibiza posts. Recommended by dermatologists containing both UVA and UVB filters will provide sun protection for up to 10 hours. Of course I'd urge anyone to be cautious with these claims and whilst it's 'water resistant' do use your common sense depending on the climate you're in. I love the spray bottle as I've mentioned in my previous post and it's non-greasy formula for when you haven't got any helpers around to help you reach those back areas. I liked this for the days in Ibiza when I went to visit my parents for a wander around the resort of just taking a walk into the town and wouldn't be conscious of reapplications. Riemann P20 can usually be found in Duty Free too so handy to pick up at the airport rather than taking up valuable space in your case. It's well known by now what a fan I am of La Roche Posay so it's no surprises that their Anthelios Sun Care range is a big hit with me. La Roche-Posay Anthelios Comfort Protective Oil* is a thick consistency but not too greasy. My biggest complaint is with the nozzle of the bottle which dispenses a stream rather than Vichy's version which is in a more mangeable spray. Of course being an oil there was some greasiness to it but not unpleasantly so and it was perfect level of protection and oil for sitting in the sun. La Roche-Posay Anthelios Ultra Light Tinted Fluid* was my preference to the thicker Comfort SPF for the face I had also used during my holidays. The lighter fluid as it's name suggests didn't feel as suffocating on the skin. Both La Roche-Posay products felt like they were traditional and familar products but with the added experience of a skincare line. My favourite products were from Vichy. 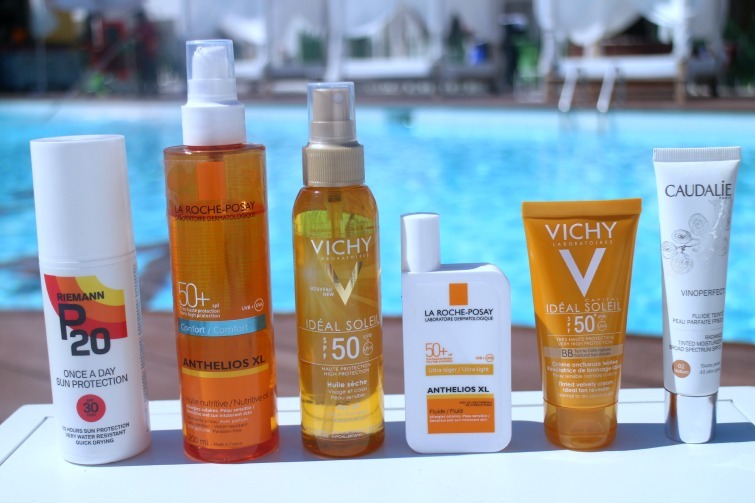 I loved the Vichy Ideal Soleil Suncare Oil* and it had a shimmer to it which made it perfect for Ibiza's club nights which started before the sun went down. As mentioned the spray nozzle gave a lighter application and gave me more ease of application. And for the face Vichy Ideal Soleil Tinted Velvety BB Cream* was perfect for a lunch in the sun providing a radiant coverage to sunkissed skin. Finally is Caudalie Radiance Tinted Moisturiser* which is more of a make up product than SPF and it's a product I've still worn as recent as this month. This is generally the product I wore throughout Summer when I wanted to allow my skin to breathe but with a little more coverage than the Vichy offering. This is definitely a staple to my base draw and one I will reach for frequently even as we enter Winter. What are your favourite sun protection products? I use Piz Buin, but I may move to P20 because my sister says it's good. Have a great Tuesday!